Thus far, you have had the most responsive customer service attitude we've seen in any of the solar suppliers we've contacted. We will pass your name on to others, and appreciate your help and communication. This medium sized universal portable solar kit will generate 140-Watt at 6.7 amps and includes the integrated 5 Stage 10 Amp waterproof solar charge controller to keep your 12v system protected. 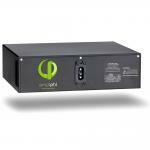 Use the large digital display to monitor volts, and amps in real time as well as amps over a period of time. The LED light indicators show charging status and battery condition. 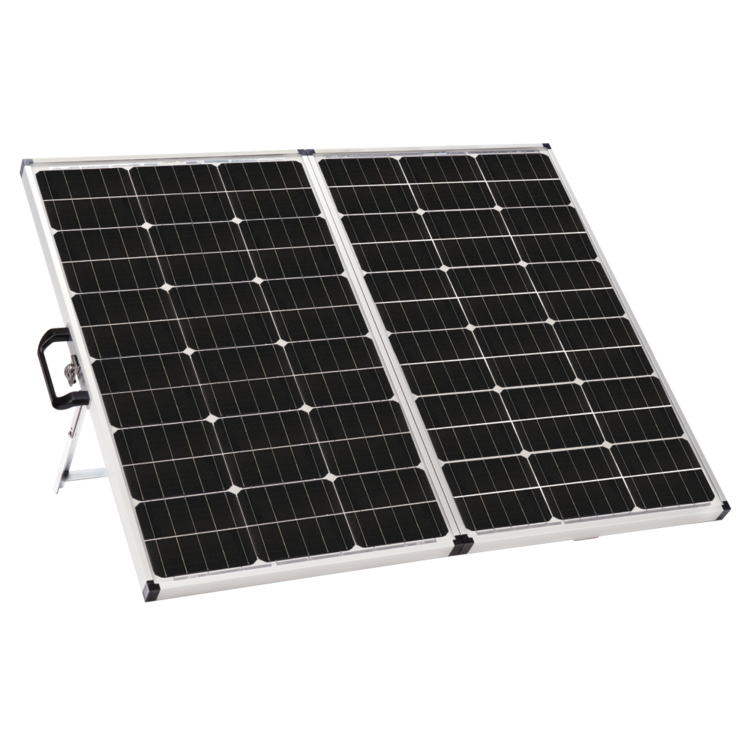 All US manufactured panels utilize top-of-the-line Grade A monocrystalline solar cells providing high efficiency output throughout the day. These high end panels feature AR (Anti-Reflective) coated glass for maximum light absorption. Our original anodized aluminum frame has received an overhaul. 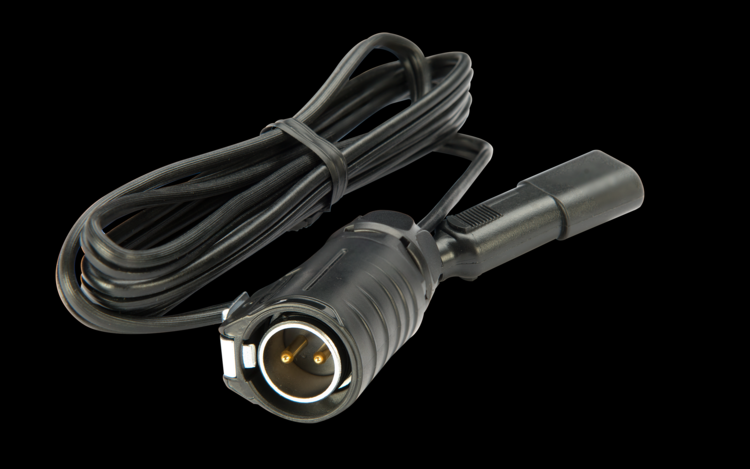 Say goodbye to the predrilled mounting holes and hello to the NEW Omni-Mount Frame. This newly designed frame is sturdier and more versatile than traditional frames. 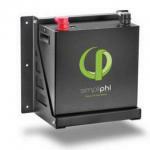 Easily transport this convenient power generation system using our re-designed ergonomic easy to grip handle. Open the case and unfold utilizing the precision machined butterfly clasps. Omni-mount technology has everything to do with convenience and stability allowing users to unfold the easy to use tilt legs for optimal placement. 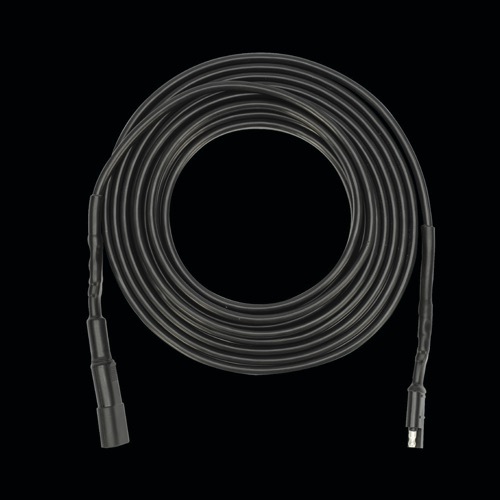 Connecting your portable solar kit to your RV has never been easier. 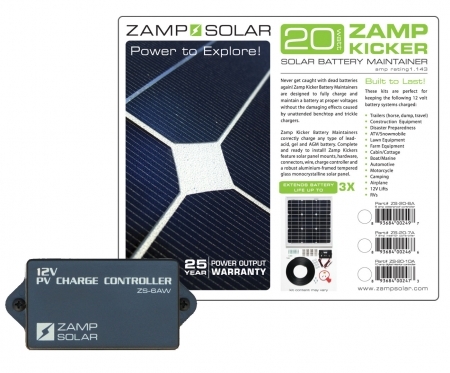 You can connect directly to the battery with the alligator clips or you can remove these clips to reveal an SAE port that plugs directly into a Zamp Solar sidewall solar port. 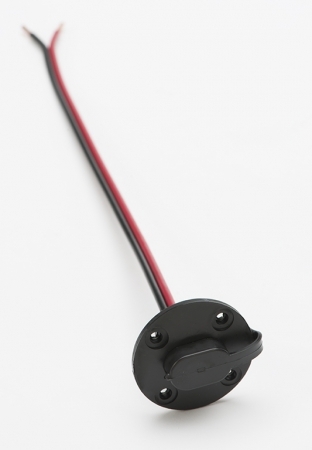 Many RVs come prewired for solar and may already have this port integrated. Just ask your dealer for more information.